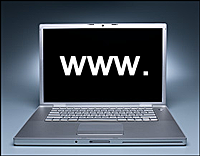 In this Internet-driven age, it's imperative to know how your website is performing. A successful company website keeps customers coming through the door, the phone ringing and business booming. How is my website doing? Thanks to Google Analytics and other services, there's a lot of website data you can track to determine performance — everything from the number and type of visitors to how they are finding your site and how much time they spend there. However, the amount of data can be overwhelming, especially at first. How do I know what to track and how to use that information to improve my website? Today, we'll show you how to get started with website analytics in a few simple steps. How do you plan to achieve your goals? What role does the website play? Who is your customer? What demographics are important? What do you want customers to do on your website? What are your specific targets or measures of success/failure? 2. Develop a Website Analytics Tracking Plan: Create a simple website analytics tracking plan that starts with a few key metrics: audience, traffic sources, engagement and site content. You can always add more metrics to your plan as you become more advanced at interpreting the information. a. Audience: This metric is all about the visitors to your site, the number and type of visits, and if they return to your site. Visitors or users are the people who come to your website. Audience is typically broken down into unique visitors (the number of unique individuals or devices who have visited your site within a period of time), new visitors (visitors who come to the site for the first time), and returning visitors (users who come back to your site using the same device). Visits or sessions are the number of users who have visited your website for any length of time. Average session duration tells you how long visitors are spending on your site and which browsers they are using to get there. When a user looks at one page of your website and quickly leaves, that is considered a bounce. If the average bounce rate is high, it could mean there is a lack of valuable content or images on the site are taking too long to load. Direct Traffic: When someone types your site URL in the address bar of their browser or clicks a bookmarked URL, it is considered direct traffic. Referral Traffic: This is traffic that comes from another website to your site as a referral. Search Traffic: When someone types your business name into a search engine, it's called search traffic. Search traffic is typically broken down into organic traffic (i.e., search engine traffic from Google™3 for instance) or paid traffic (i.e., the user clicked on a paid search ad to get to your site). Other Traffic: Traffic from social media, email marketing or direct marketing links. c. Engagement: The amount of time visitors stay on your website and the number of pages they visit are indicators of engagement. This metric is helpful when determining the amount and type of content to include on your site. Are you keeping customers engaged on the website? Are you providing the information they are searching for? Is it easy to locate? d. Site Content: This metric provides an overview of the most popular pages of your website. The site content report tracks the number of page views, average time on each page, bounce rate, etc. With this metric, you can easily determine if visitors are reaching the pages you want them to and adjust site content accordingly. 3. Getting Started with Google Analytics: Google Analytics is a good place to start tracking and analyzing your website metrics, especially as a beginner. Setting up your account is quick, easy and FREE. Click Start for free to create a new account or Sign in to Analytics to sign in to your existing account. Be sure to use a company email address (preferably of a business owner or executive) so you do not lose track of the Analytics account login information (or you will lose the data too). Assign your website or set it up as a property in your Analytics account (basically you are assigning your website as the collection point for your analytics). Set up the reporting view for your property. Set data filters and determine your preferences. Add a tracking code to your website and start collecting data. If you're new to website analytics, hopefully we've provided a good starting point. Before you dive into the data, it's critical to have clear objectives and goals for your business and your website. Once you have a plan, logon to Google Analytics and begin collecting data. Start with a few key metrics, including your website audience, traffic sources, engagement and site content to get the ball rolling. Review the analytics frequently and continually improve your website to grow your business. Measure, analyze and adjust to become an online success! 1 Google Analytics is a trademark of Google Inc.
3 Google is a trademark of Google Inc.